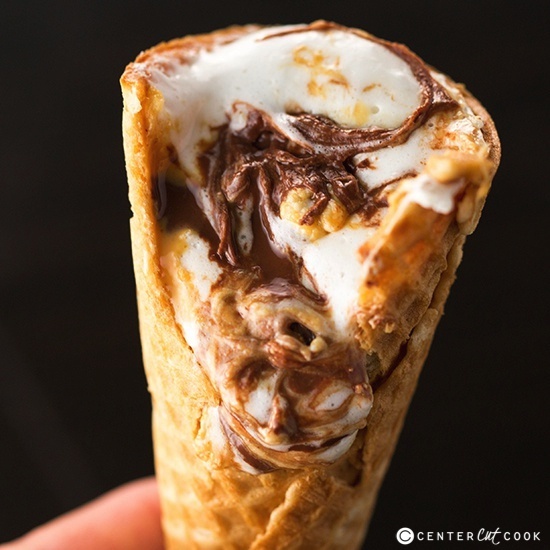 Campfire Cones filled with your favorite s’more ingredients can be made on the grill, in the oven, or heated over a campfire! If you haven’t tried Campfire Cones before, you my friend, are missing out! Don’t let the name deceive you either, you do NOT need a campfire to make these fun s’mores-like treats! 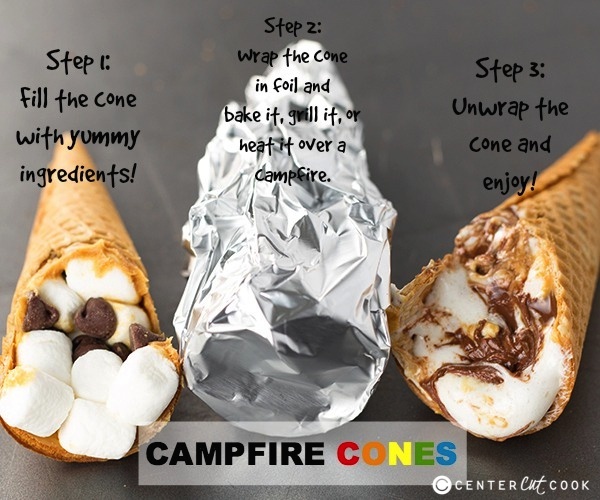 Campfire Cones can be made on the grill and in the oven in addition to the option to heat them over a campfire. The method for making these Campfire Cones is pretty simple. You’ll start with an ice cream cone. I used waffle cones, because that’s how I roll, but you can use any cones that you’d like. Because I’m obsessed with the combination of peanut butter + s’mores, I lined the cone with peanut butter. Then I stuffed it with mini marshmallows and chocolate chips. Once it was stuffed to the brim, I wrapped it in foil to prep it for heating. As I mentioned, you can heat them in the oven, grill them, or if you’ve got a campfire going, you can heat them over the campfire. 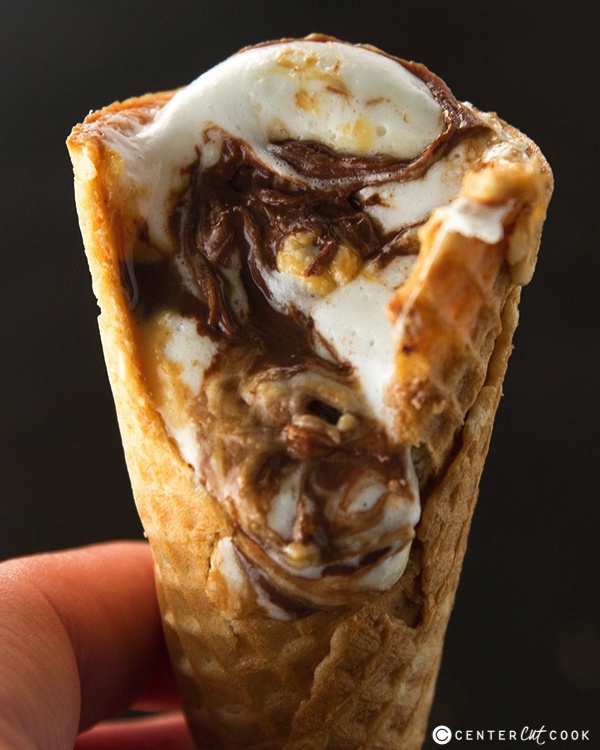 When you unwrap the cones, the peanut butter, chocolate, and marshmallows will be melted to a gooey perfection! You can change them up however you’d like – perhaps by adding sliced bananas or strawberries. Instead of chocolate chips you could use peanut butter chips or even butterscotch or caramel chips. Fill ’em with whatever you’d like! This is a special dessert treat that the adults and kids will love. Favorite s’mores toppings: peanut butter, mini marshmallows, chocolate chips, sliced strawberries, sliced bananas, etc. Oven directions: Bake at 350 for 5-7 minutes. Grill directions: Place on a heated grill for 5-10 minutes, turning occasionally. Campfire directions: Heat the foil-wrapped cones over a campfire for about 3-5 minutes, or until the chocolate and marshmallows have melted.